We carry products from many of the well-known natural brands like Kiss My Face, Giovanni, Tom’s of Maine and Burt’s Bees. 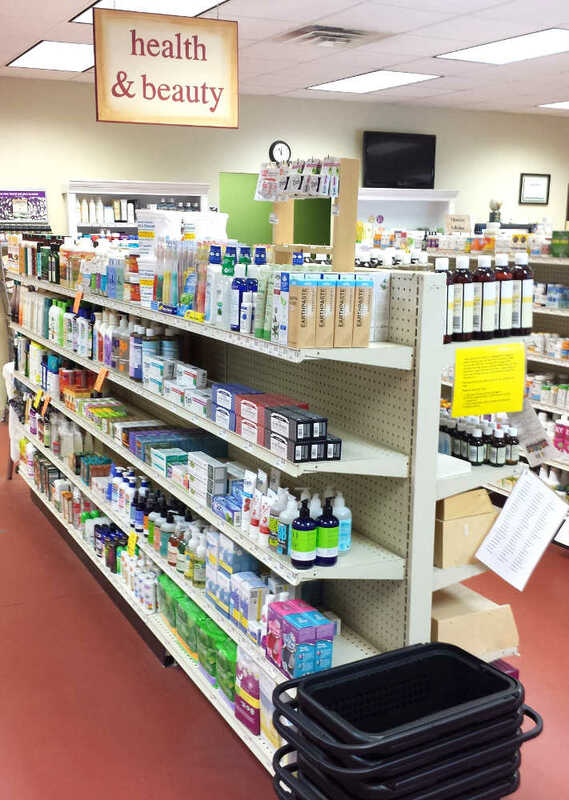 We carry a number of unique personal care brands like Badger, Zum, Derma E and Aubrey Organics. We also have locally-produced products such as Pip’s Squeaky Clean Soap and locally-produced Hnshuu soaps, shea butter and sugar scrub. Our Health & Beauty is all natural, free of most common petrochemicals and harmful ingredients and includes several certified organic product lines. We also have a variety of DIY personal care ingredients such as shea & cocoa butters, pure skin oils, beeswax, lanolin, vegetable glycerine and a wide selection of Aura Cacia Essential Oils. Many of the most popular shampoos, conditioners and lotions are also available in bulk for you to fill up your own containers for those that like to reduce, reuse and recycle! Cruelty-free make up lines are also available for anyone looking to lighten up on the chemical-packed make-ups sold in large chain stores that often include animal testing. In addition to our beauty and hygiene offerings, we have many natural healing skin salves, nasal washing supplies and ear candles. We also offer lots of feel good products to spruce up your home life with incense, sage and candles. If we don’t have the product you’re looking for, feel free to ask about it. We special order many items by the case or by the bottle. Co-op members receive a discount on case orders so if you use an item frequently, stock up & save!